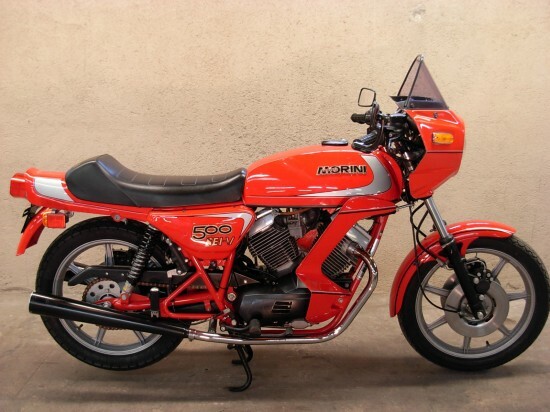 Unlike their other European competitors, Moto Morini never succumbed to the pressure to create bigger-engined motorcycles to compete for the American market. This 500cc machine is about as big as they got, and owners had to rely on “sweet handling” and “economical” and “six-speed gearbox” for bragging rights. Specifications were interesting, with a 72º v-twin that struck a good balance between smoothness and packaging, “Heron”- style heads that are probably worth an article all on their own, the aforementioned six-speed transmission, and a flexible powerband that peaked at 46hp. This particular Morini 500 features a bar-mounted fairing. I’m not sure whether or not this is actually a Morini part or something aftermarket. 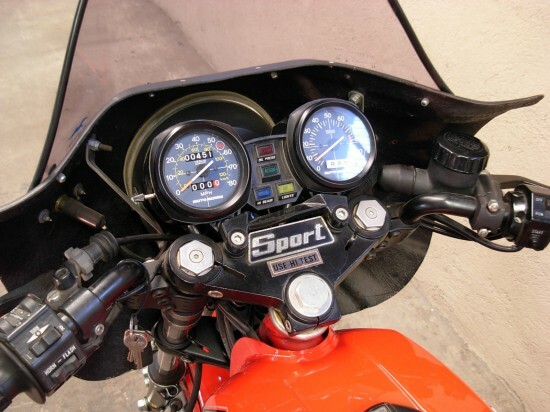 In the early 80’s aerodynamics were clearly “in” and many manufacturers of sporty machines that couldn’t really compete with the Japanese in terms of outright performance began to repurpose their machines with a more sport-touring style. Although Moto Guzzi had their very own wind tunnel to fine-tune their bodywork, most of these early factory efforts were trial-and-error and the results were aesthetically challenged at best… And those bikes that didn’t come from the factory with touring equipment could be fitted with all manner of JC Whitney-esque Windjammer fairings with dubious aerodynamic advantages. 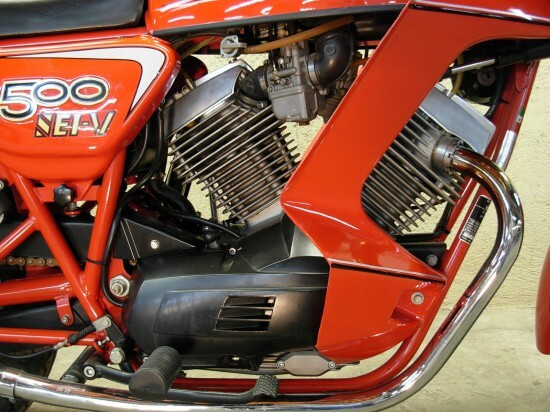 This is a beautiful original Moto Morini. Has been sitting in a museum for 10 years. Will need the carbs cleaned and a new battery. A few small scratches on the tank. Look at photo. 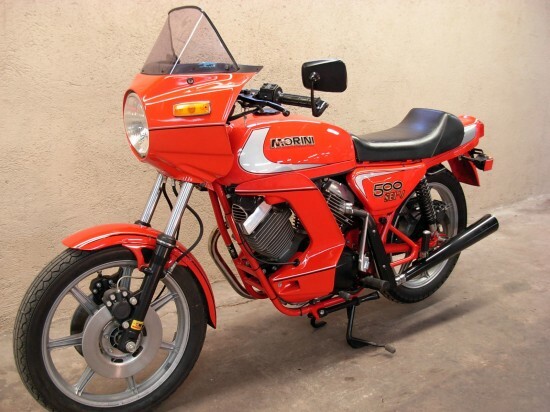 Great opportunity to own a virtually new Moto Morini from 1983. What is it with Morini owners and their very thin descriptions? I guess they figure, “If you have to ask, you’re not the kind of person I want to sell it too, anyway…” But the listing has some photos that perhaps speak for themselves and it does mention that the bike has less than 500 miles on it, making this machine about as new and as sharp as you’re ever likely to find. 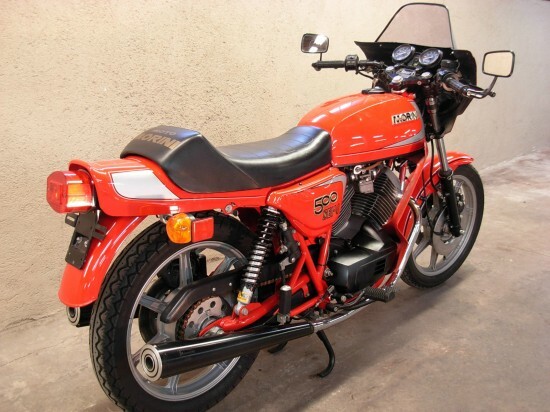 Although Morini prices have risen over the past few years, they still represent a much more affordable way into classic Italian ownership than Ducati or Laverda and are much rarer than a Moto Guzzi.